With War UI you can effortlessly transport your production straight to the battlefront with 2.6GB, over an hour of sound and all 44.1k 16bit HQ samples. 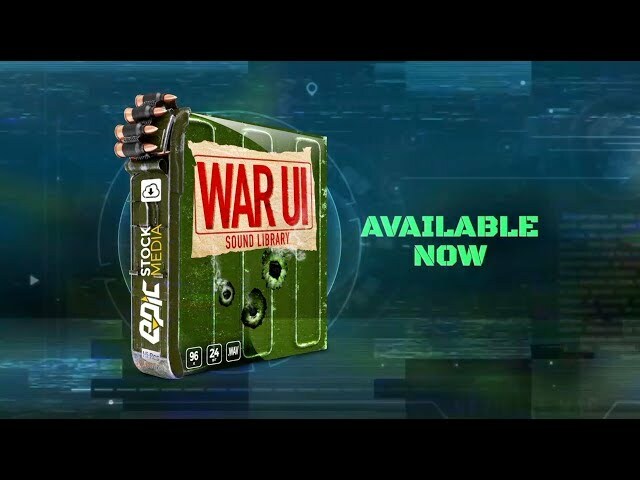 The collection offers a complete user interface, kit building audio experience and like all Epic Stock Media sound libraries, War UI is battle tested (pun intended) and ready to use in your next game, animation, mobile app, explainer video, software, industrial design and theatrical performance projects. We command you to drag and drop War UI sounds into your epic military mix. Sir, Yes Sir! All royalty free.